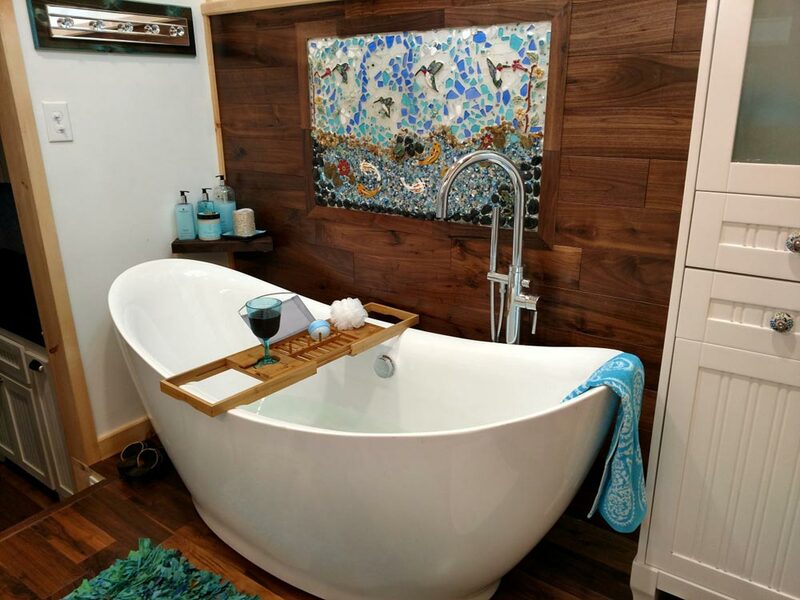 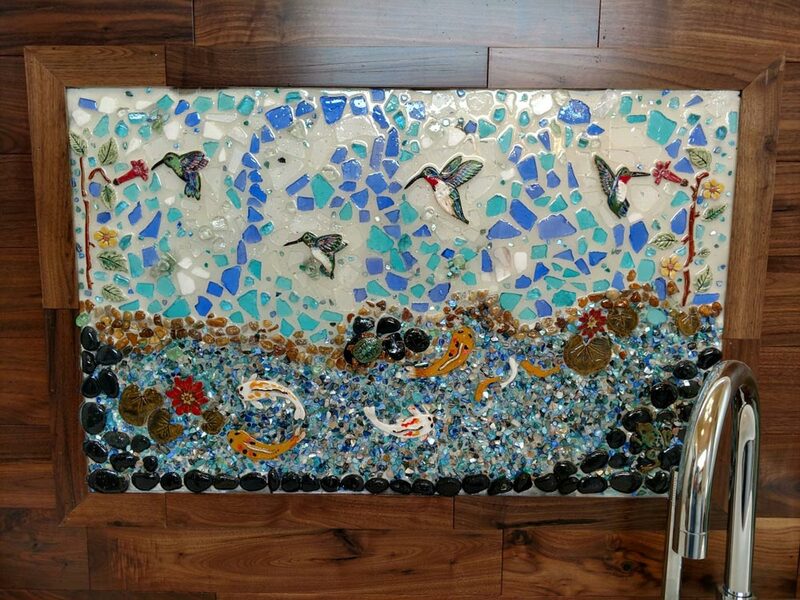 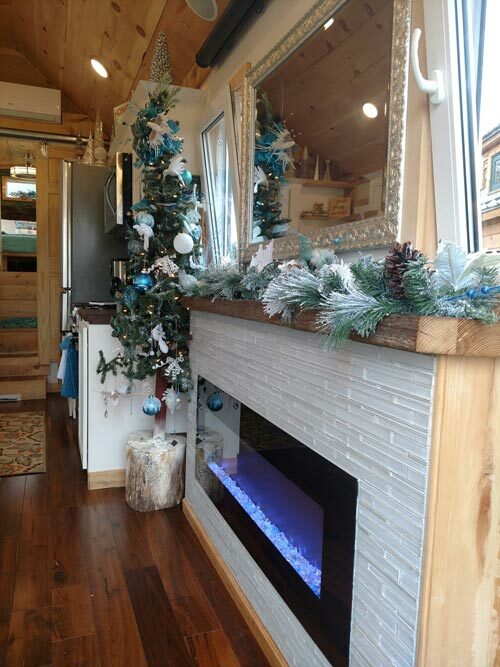 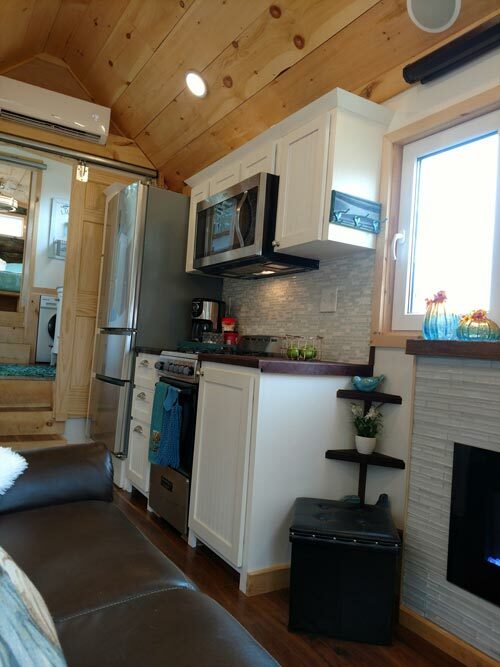 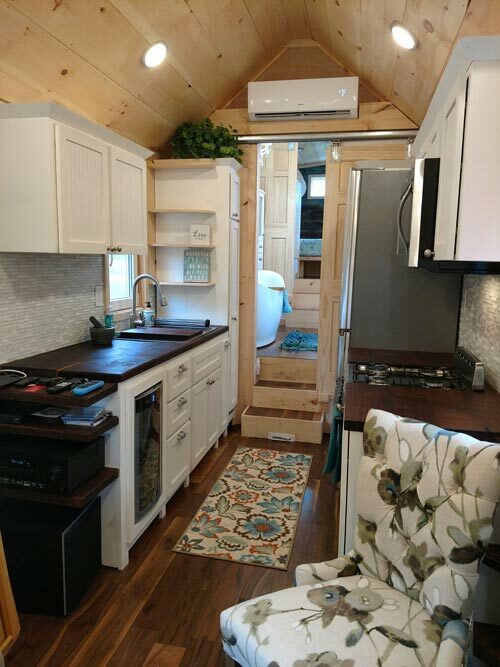 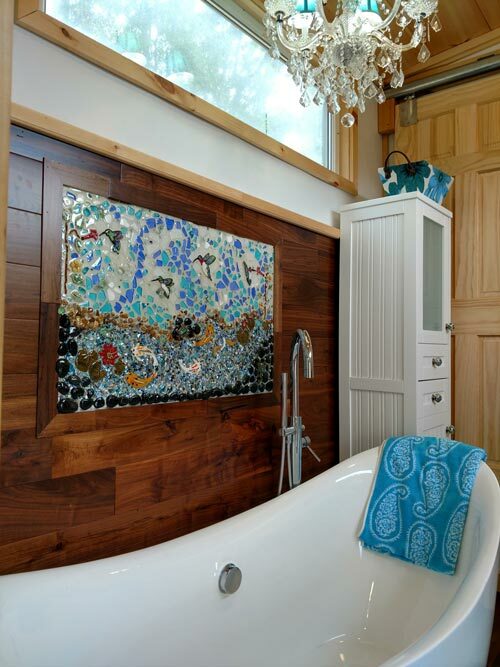 From Hummingbird Tiny Housing is the Luxury 40, a custom built gooseneck tiny house featuring a custom designed tile hummingbird mural over the soaker tub and an electric fireplace in the living room. 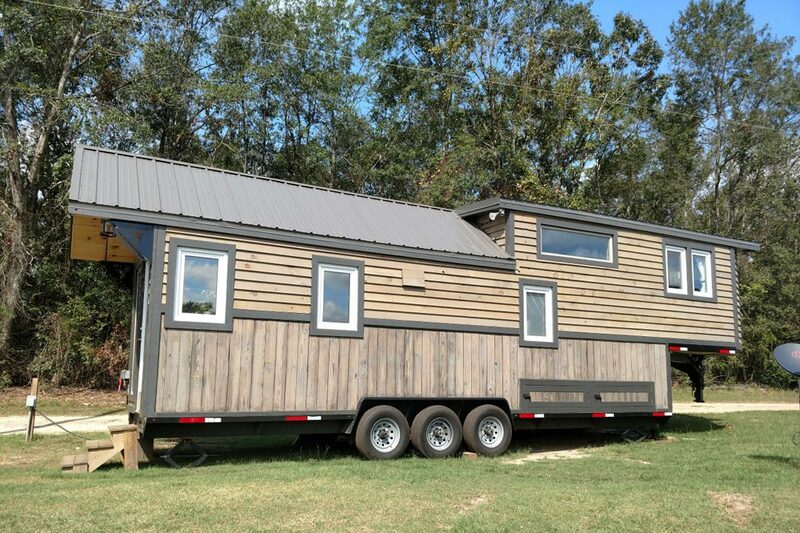 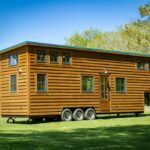 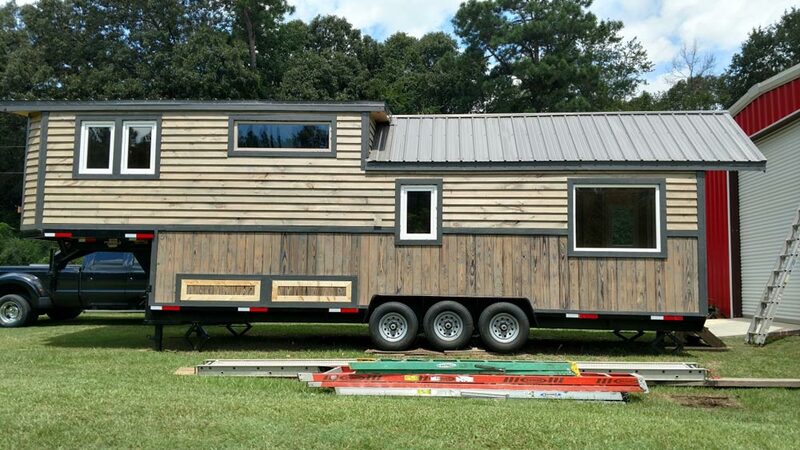 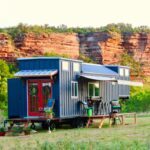 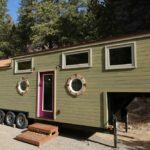 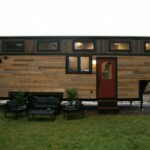 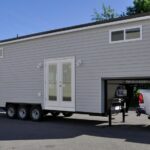 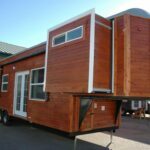 The tiny home measures 40-feet long including a 2-foot overhang over the front door and 1-foot overhang over the back. 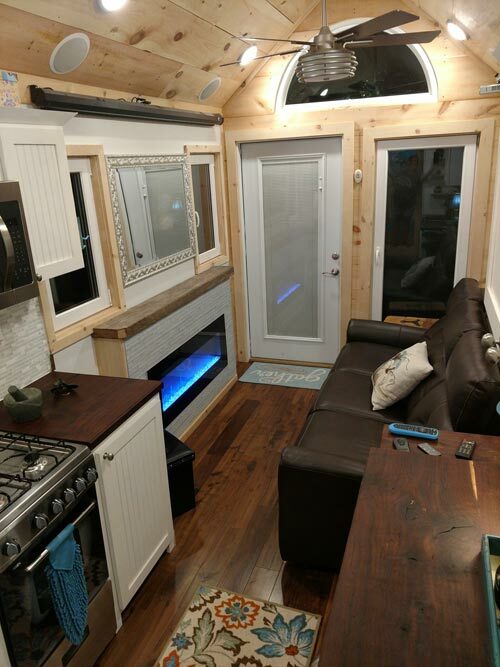 The covered entryway has a full light front door with blinds, arch window, and custom made metal gussets with hummingbirds. 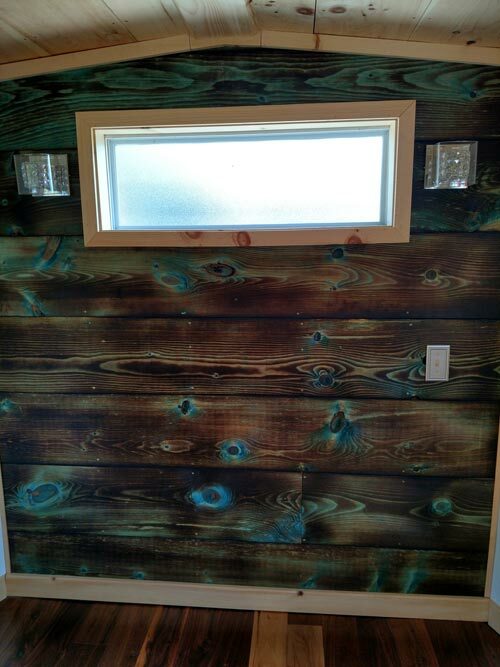 Thirteen windows around the house allow for abundant natural light. 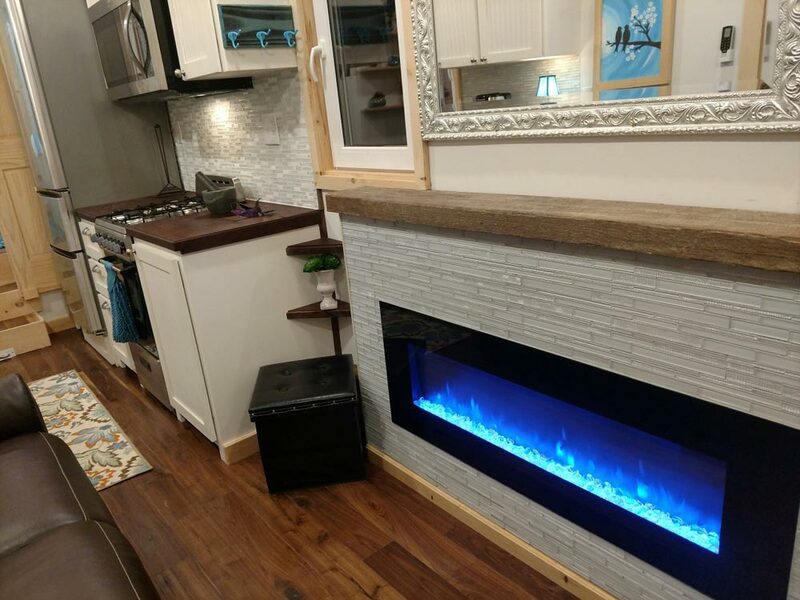 In the living room is an electric fireplace with mantel, electric leather recliner couch, and a projector with 84″ projection screen and Polk Audio surround sound. 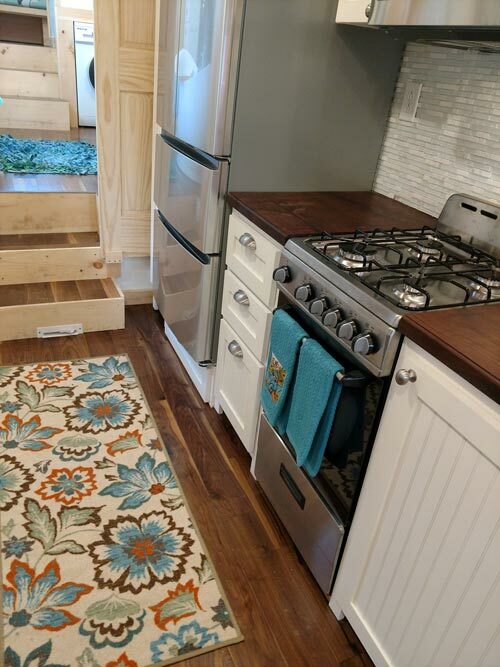 Walnut flooring was used throughout the home. 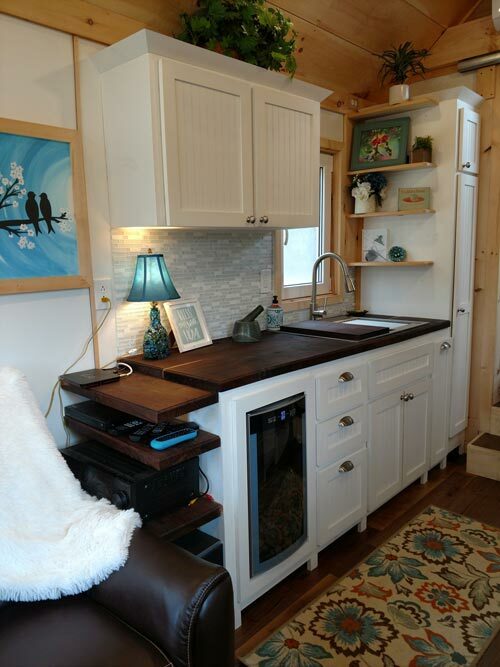 The kitchen features beautiful black walnut counter tops and white cabinetry. 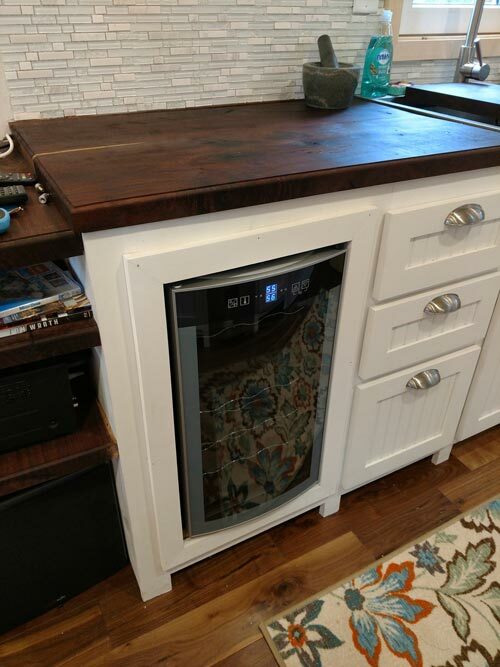 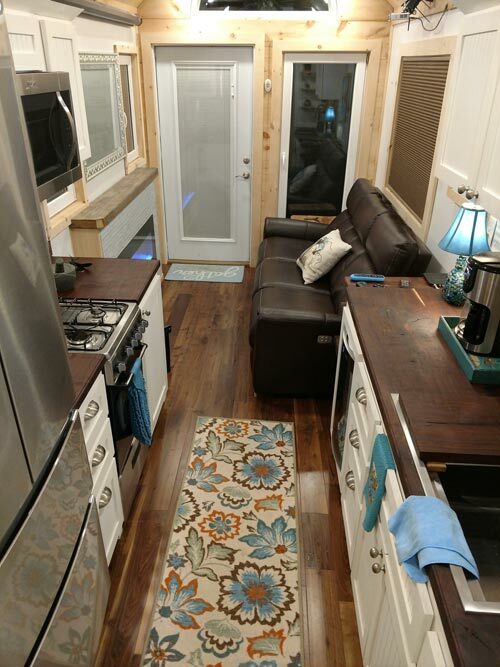 Appliances include a 33″ stainless steel sink, wine fridge, 20″ gas stove, side-by-side refrigerator with double freezer drawers, and microwave. 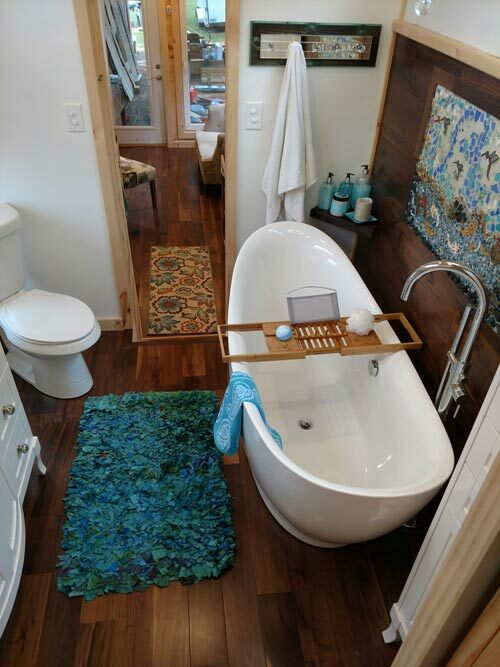 The home also has a central vacuum system. 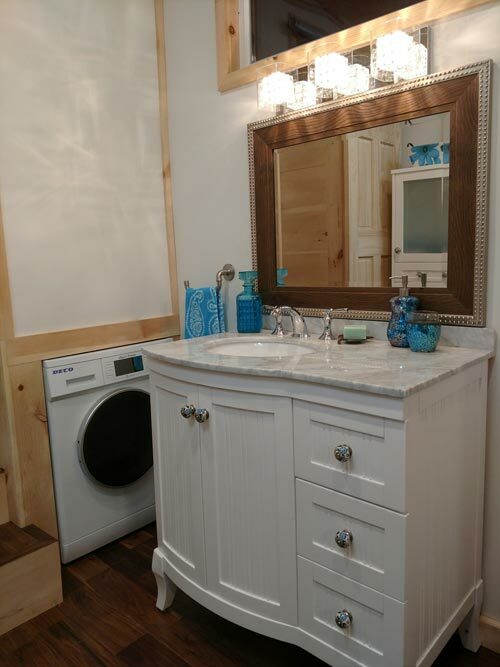 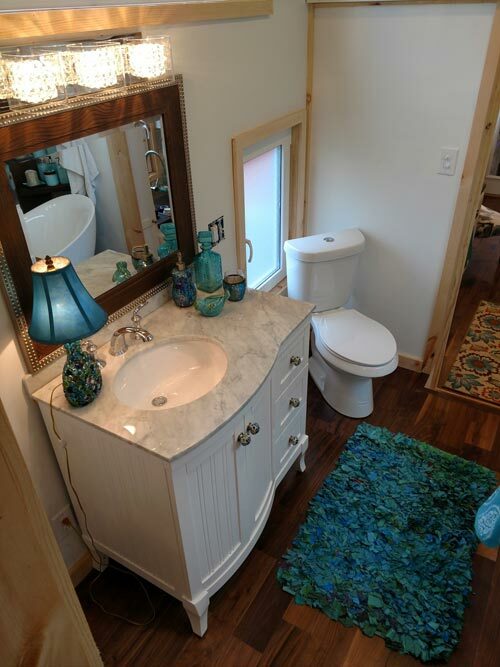 Past the kitchen is the bathroom, which has a 6-foot soaker tub with hummingbird mural over it, dual flush toilet, washer/dryer combo, and vanity with drawers. 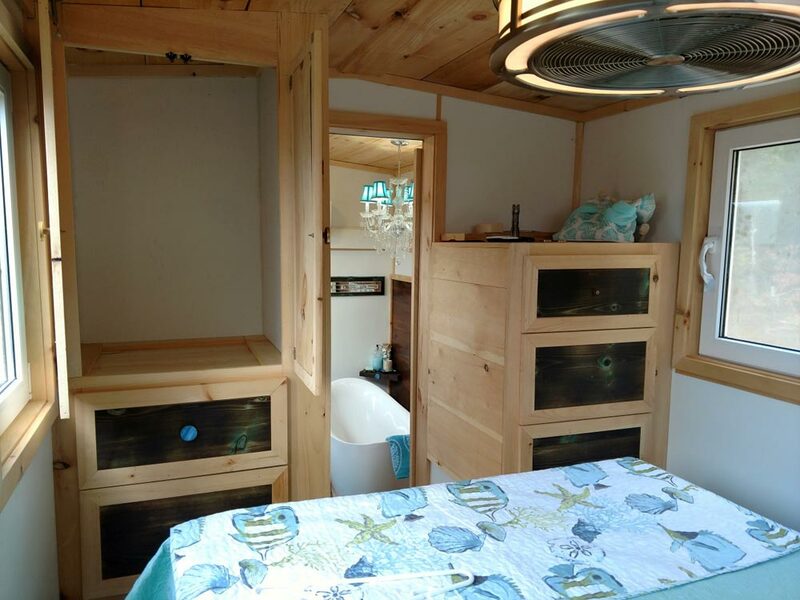 At the rear of the home is the master bedroom located over the gooseneck. 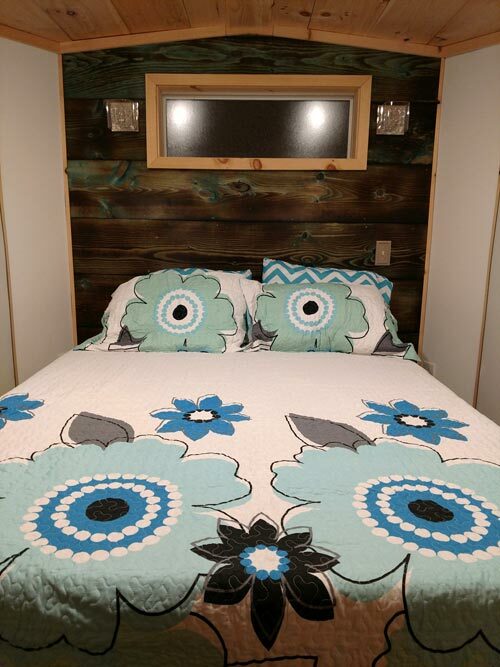 The bedroom has a custom feature wall behind the queen size bed, built-in storage under the bed, a dresser with three drawers, and a wardrobe with two drawers and room for hanging clothes. 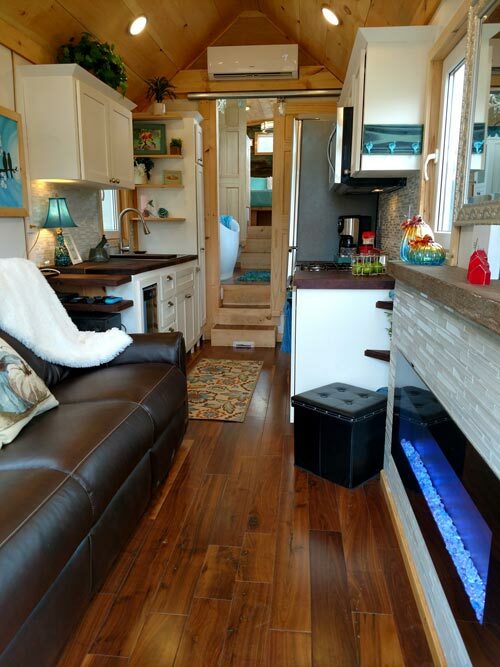 For more information about the Luxury 40, please contact Hummingbird Tiny Housing.